With 3 choices of edgings for 99 different dishcloths, you have potentially hundreds of variations to crochet right at your fingertips! 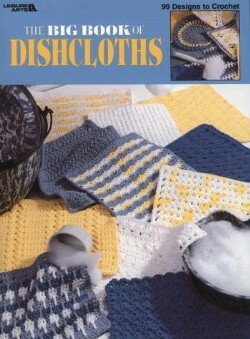 This book features designs for 100% cotton worsted weight yarn that work up quickly and make great travel projects. Leaflet - 56 pages by Leisure Arts.